This Custom Imprinted Wesleyan Microfiber Cloth approximately 6" x 6" in Pouch is an excellent item for many reasons. It's a cleaning cloth for smartphone, tablets, computers and eyeglasses. Your imprint will look gorgeous and its made of soft scratch-free fabric. This is the perfect item for any promotion. Pouch: 3" W x 1 3/8"
Product Usage: Trade Show give-a-way. Customer Review: Product was well received. Customer Review: Very high quality printing, details of the photograph showed very well. Our original photograph was also very hi-res. 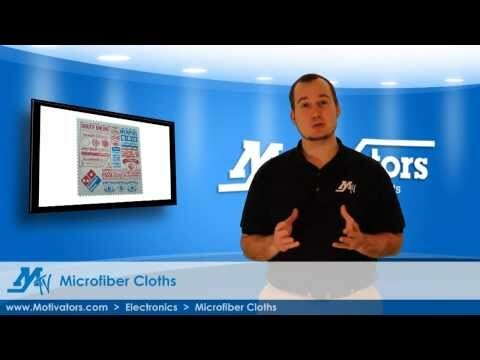 Testimonial: Great customer service - loved our fiber cloths! Testimonial: Greg has been very helpful.